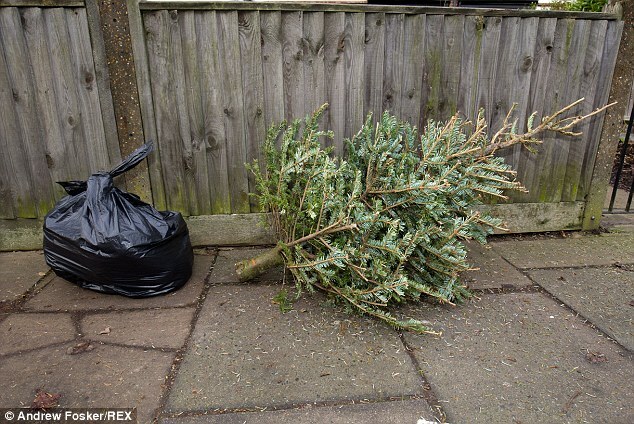 It’s nearly the end of March and still the dumped Christmas trees keep appearing in the streets where I live in London. A couple of weeks ago, one was thrown over my Scout Hall walls and I thought, “Aha! 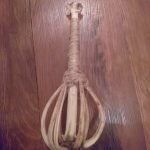 I can now make the camp whisk I have been wanting to make since being shown how to by a fellow Scout Leader and Bushscout, Mr Colin Wreyford”. I got the tree into my car and, after running Scouts for the evening, I dragged the tree through my house to the garden and still thousands of needles scattered my trail through the house. The last few weekends have been rather busy so I haven’t had the time to do this project until today, when the girls went to the hairdressers and my boy was fast asleep having his afternoon nap. With the baby monitor set up in the garden and the grey clouds looming over my head I set about making the camp whisk from the dumped Christmas tree. 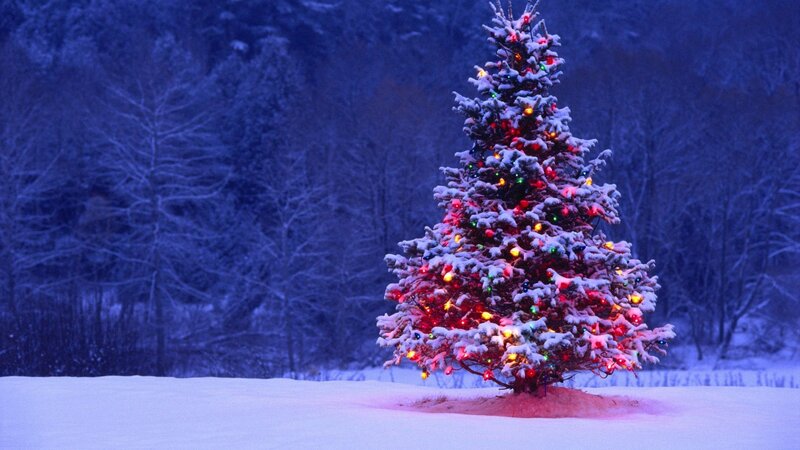 The first stage was to saw down the tree into the required length. I’ve never done this project before so I wasn’t sure of the exact length. I made a rough guess of the length of the whisk and also the flexibility and lengths of the branches. 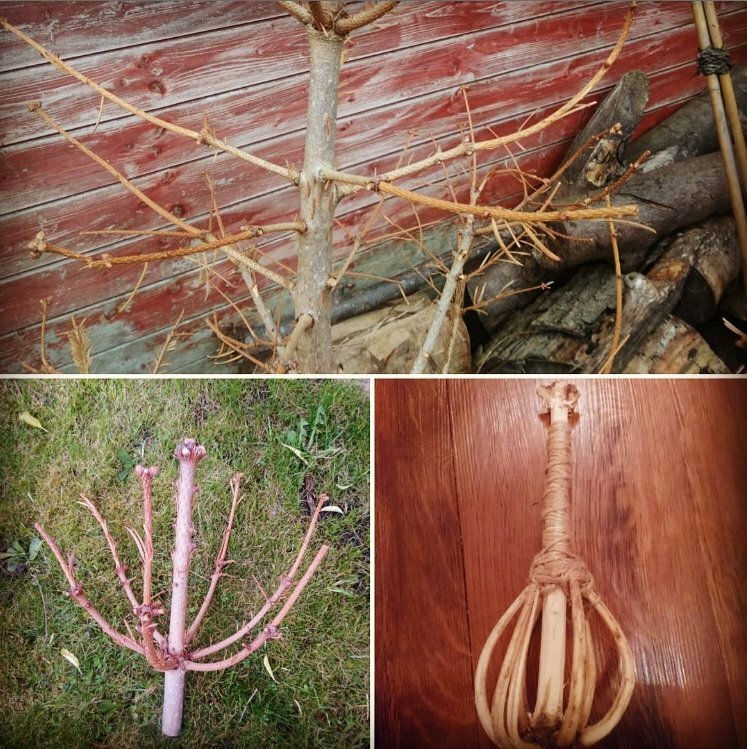 The second stage was to strip the bark from the branches and what would end up being the whisk handle. 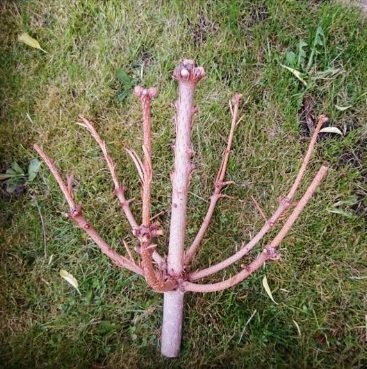 The third and trickiest stage was to bend the branches back on themselves to make the actual whisk. This sounds easy enough but, believe me, this was the longest part of the project. With a few swear words I managed to bend the branches back and tied them up using some jute string from the shed. The fourth stage was to tidy up the handle. Having seen a few examples previously of the camp whisk, I know that some have had the bark left on and other others have been stripped. and what I choose to do- I chose to wrap the jute up the handle tightly. Sadly this is as far as I got as the girls arrived home with lovely haircuts and the boy awoke from his power nap. 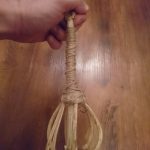 What I need to do next is to remove the bark from the base of what is now the camp whisk and then I will also coat the whisk in some olive oil to treat it. It took me about 30mins minutes for this part of the project and I reckon it will take another about 15 minutes or so in the next few days to do the remaining steps. So if you see a dumped Christmas tree over the next few days give this project a go or wait for 280 days until next Christmas.